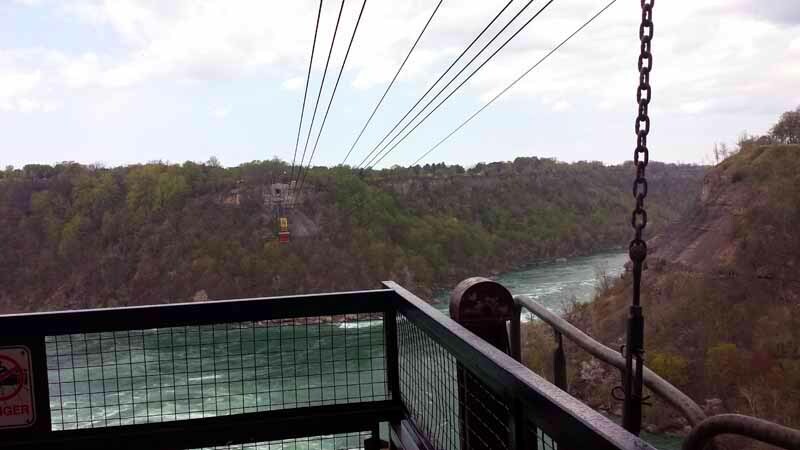 Riding the Whirlpool Aero Car in Niagara Falls. 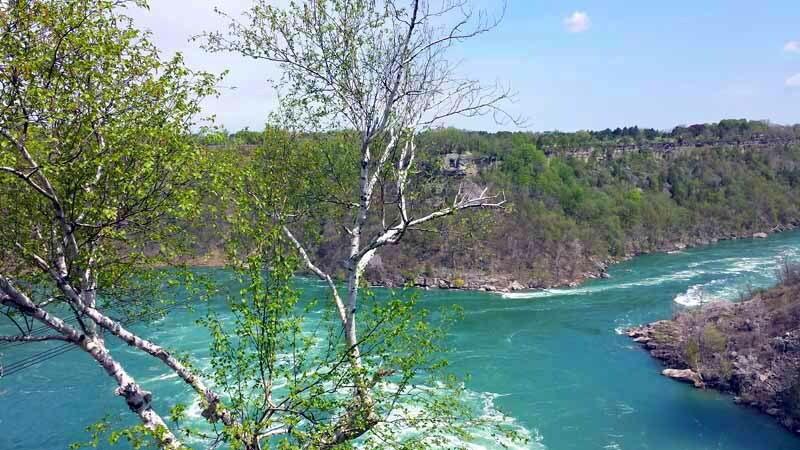 Looking for something to do on the Canadian-side of Niagara Falls off-the-beaten path and away from the touristy downtown? 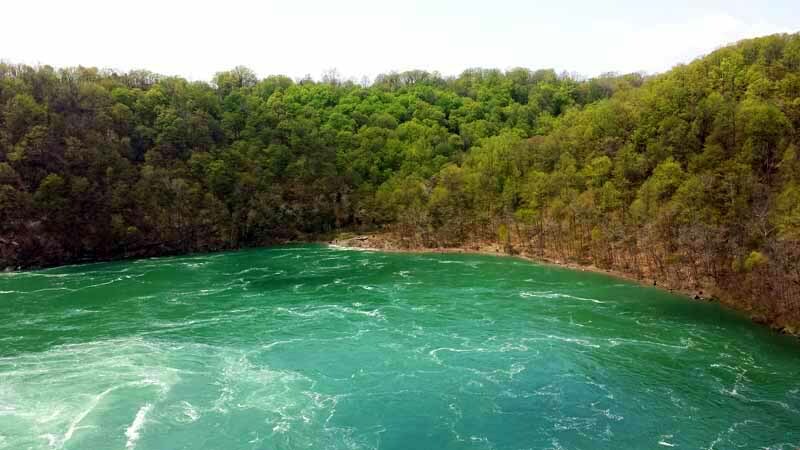 About fifteen minutes north along the Niagara River is the Niagara Whirlpool. 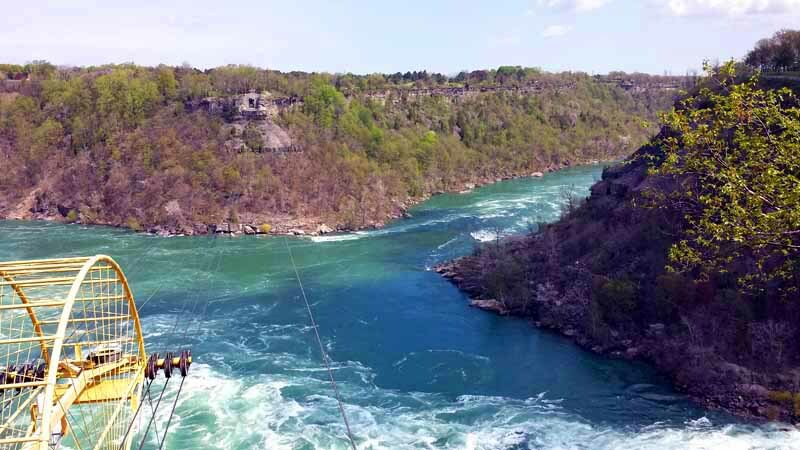 The natural whirlpool sits along the U.S.-Canadian border within the Niagara Gorge and is home to multiple surrounding parks and excursion opportunities. 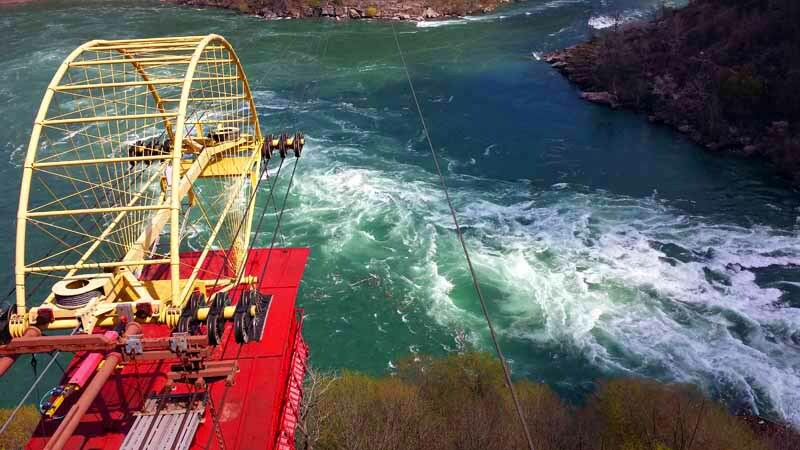 One such activity is the Whirlpool Aero Car. 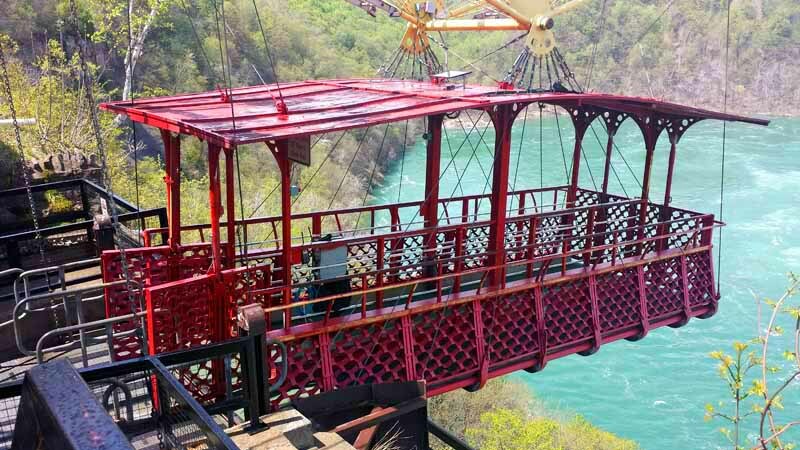 Head across the whirlpool, turquoise water and gorge and back in an antique cable car suspended by six cables. 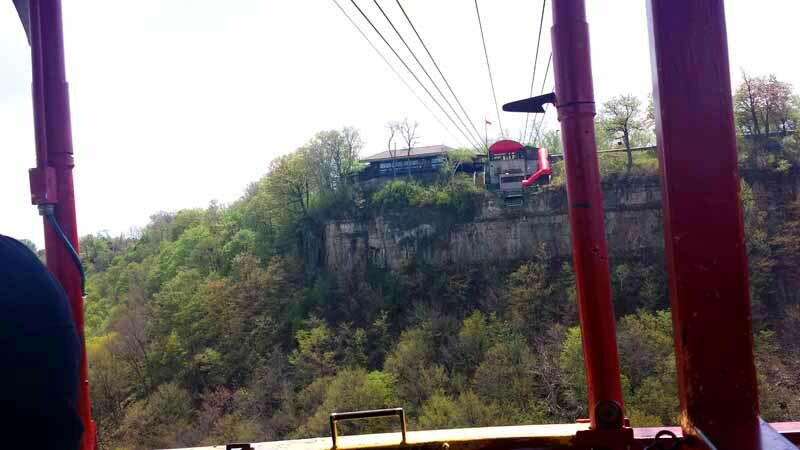 The ride is approximate one kilometer, about twenty minutes long and you’ll be hundreds of feet up in the air. 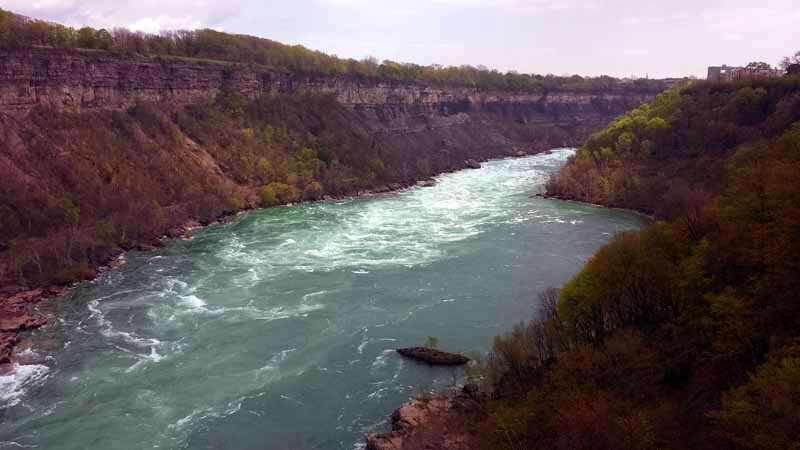 Look straight ahead to see the beauty and shoreline of the Niagara River as it enters and exits the gorge. 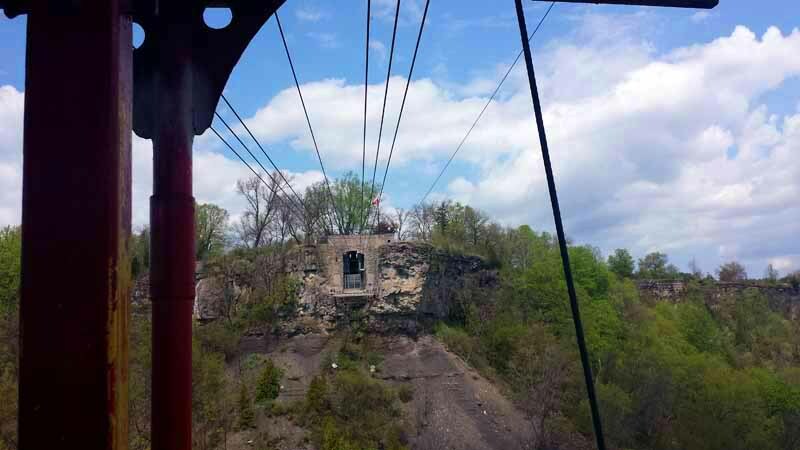 Before the return portion of the trip begins, you will suspended for a bit. 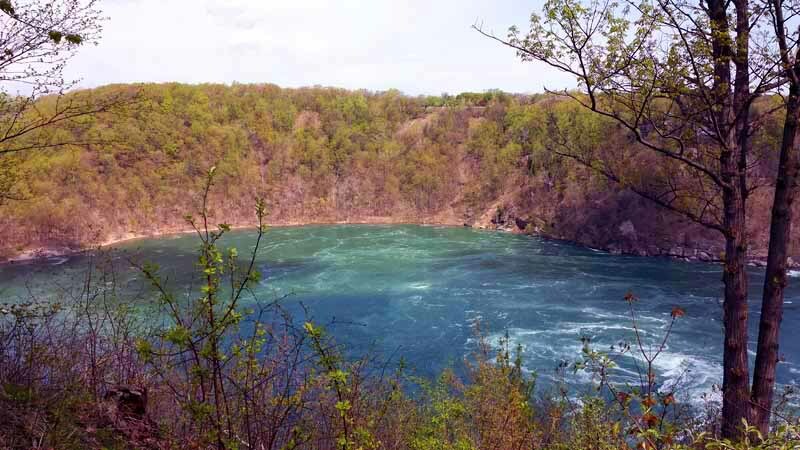 Glance down to see the natural phenomenon that was formed thousands of years ago. 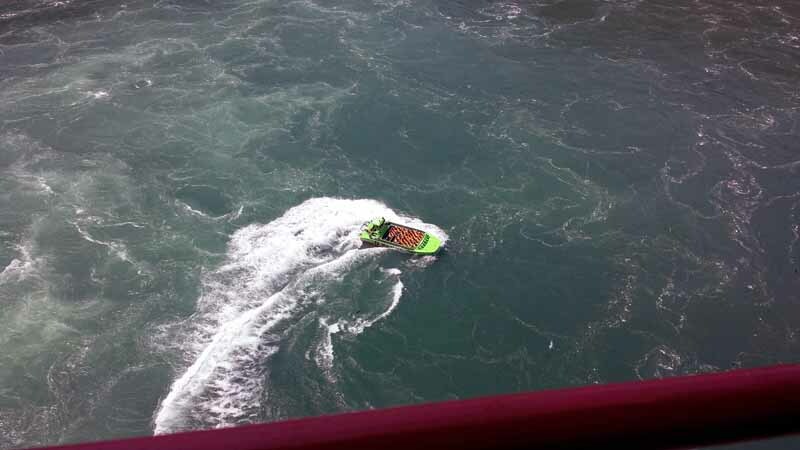 You might catch a jet boat or two taking people on a different excursion to get up close and personal. 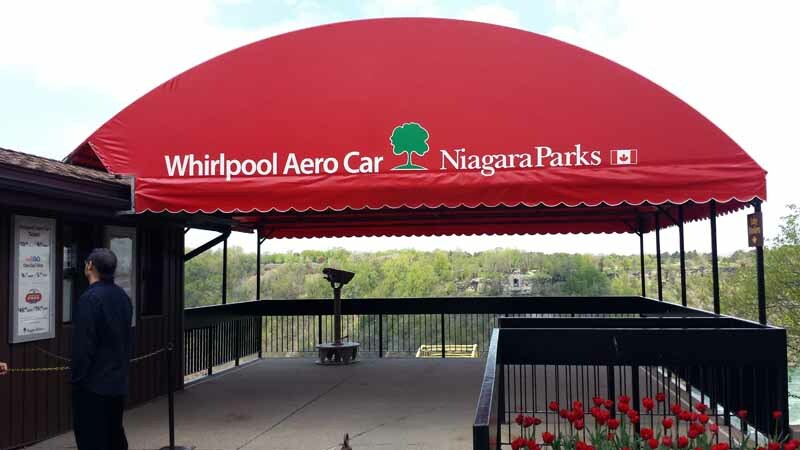 The Whirlpool Aero Car is open mid-April through mid-November and is easily accessible via the Green Line on the WEGO bus system from the Falls. Parking is free. 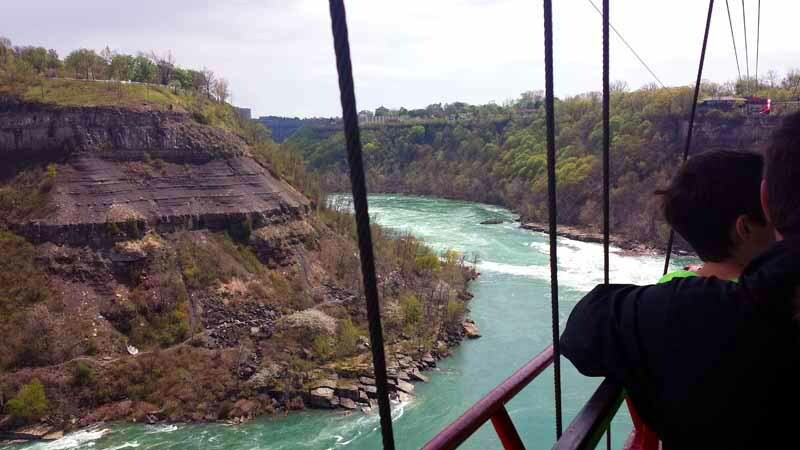 Cost wise it is currently $13.95 for an adult, $9.10 for children, but you can get it for cheaper if your riding as part of the Niagara Falls Adventure Pass Nature. 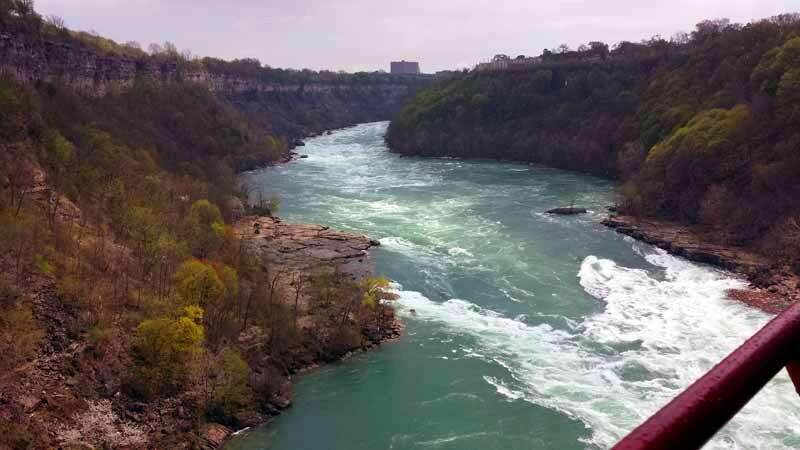 Riding the Whirlpool Aero Car in Niagara Falls was a scenic and breathe-taking way to spend the afternoon. 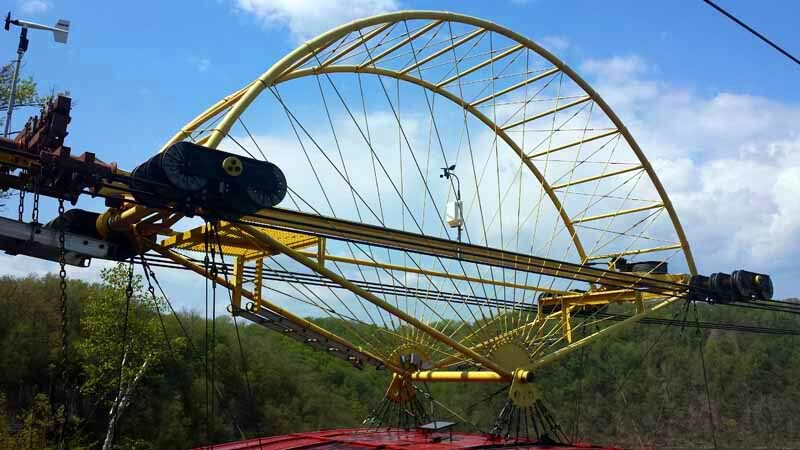 It is a recommended stop when in the area. 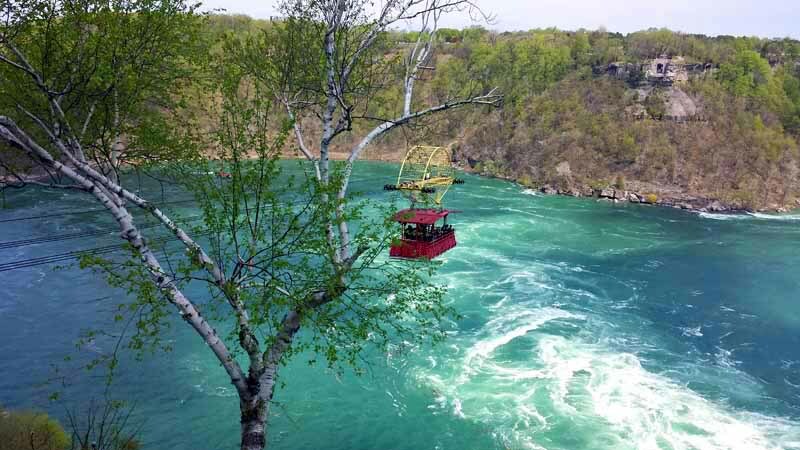 What other excursion opportunities would you suggest around Niagara Falls on either side of the border?